TED Talks are a cultural phenomena. 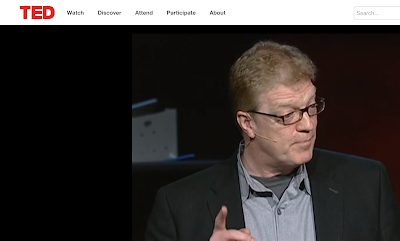 These are 18 minute presentations by the world’s leading thinkers in a variety of disciplines. These talks inspired the format for our How Kids Learn conference. They have been viewed by over a billion people. Carmine Gallo recently wrote a book, Talk Like TED: The 9 Public-Speaking Secrets of the World’s Top Minds. 1. Unleash the master within. Passion leads to mastery and mastery forms the foundation of an extraordinary presentation. You cannot inspire others unless you are inspired yourself. You stand a much greater chance of persuading and inspiring your listeners if you express an enthusiastic, passionate, and meaningful connection to your topic. For a piece by Charlie Rose, where he explored TED Talks, shown on a recent 60 Minutes, click here. One thing we learned from his piece is that TED provides coaches for all of the speakers months before they present on stage. This is to ensure that their presentations are simple and provocative. Great tips to help us message the importance of afterschool.